Today’s episode looks at 3 things church planters need to know about your church website and brand. We’ll take a closer look at the first of 5 Missional Marketing Maxims we introduced in episode 1. Today’s episode wraps up our first series.I Bet You’ve Said This Before…There is a common temptation every church planter faces. It pops up when it comes time to create a website and brand.The number 1 temptation is: I’ll deal with the website later when…Websites, branding, marketing…not fun. Why can’t you go plant your church. You’re a pastor, not a marketer. You want to make disciples, not get bogged down in all this stuff.Plus your to-do list keeps growing!But there are some big mistakes behind the “I’ll deal with the website later when…” approach.This episode unpacks 5 common mistakes behind that approach. Discover:what the 5 mistakes arehow to get rid of thema simple formula for finding the “value” of your church websiteGrab the free resource from today’s episode and start turning your website and brand into a digital missionary for the gospel. 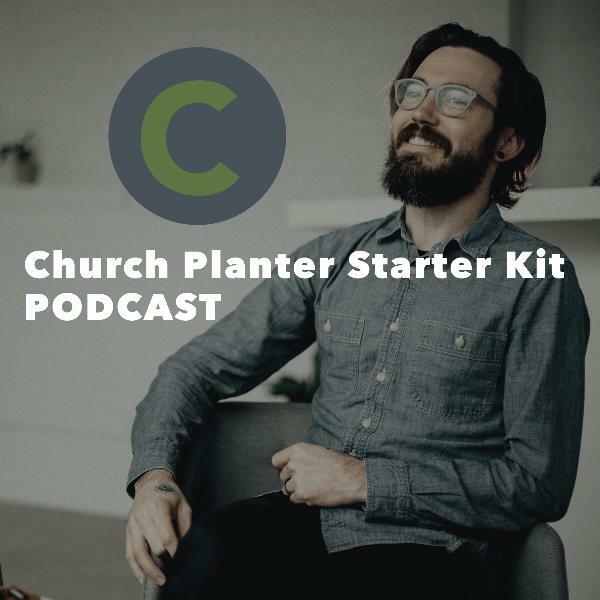 https://churchplanterstarterkit.com/6 »Leave a review on iTunes! Today’s episode covers the 3rd Missional Marketing Maxim.My goal is to transform the way you view your church website and brand. Instead of cringing, I want you to imagine your website and brand as a POWERFUL digital missionary.3 Choices You Must Make About Your Church Website and BrandYou’ve got a million decisions to make as a church planter. I’ve got good news and bad news when it comes to your decision about your website and brand.First, The Bad News…You have to make a decision about your church website and brand. There’s no neutral. No pause button. No ‘phone a friend’ escape.The Good News…There are only 3 options. You will do one of these three things, guaranteed.Discover what the 3 are so you can make use of the powerful missionary potential of your website.Grab Today’s Free ResourceGet help turning your website and brand into a digital missionary.https://churchplanterstarterkit.com/4Leave a review on iTunes and I'll give you and your church a shoutout!